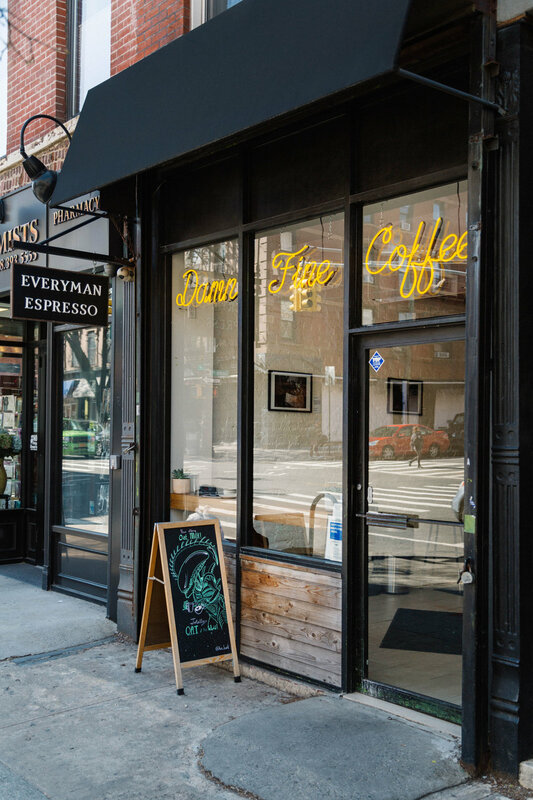 A narrow storefront space in Park Slope required a compact layout that stretched through the length of the space. Every inch of depth on the counter was negotiated according to function. 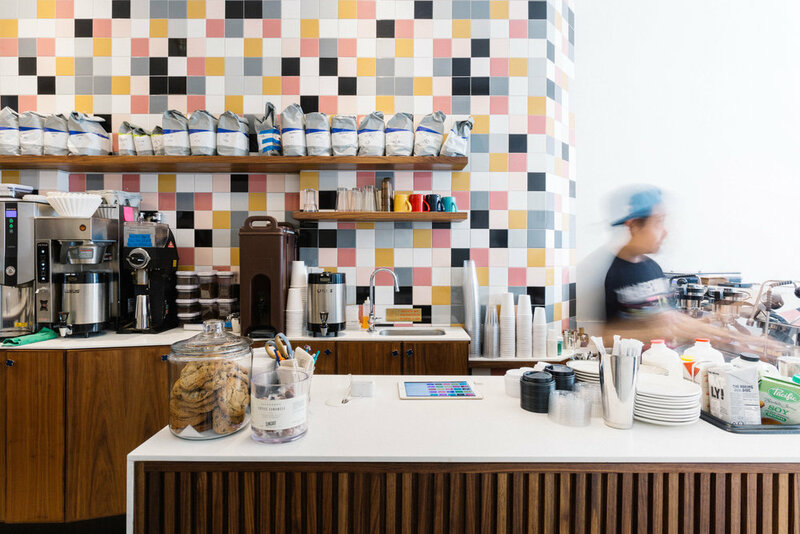 The tile pattern on the back wall was designed during our first collaboration with Everyman Espresso in Soho. This pattern has been applied in a different hue in each location, providing a brand identity that always looks new in each project. 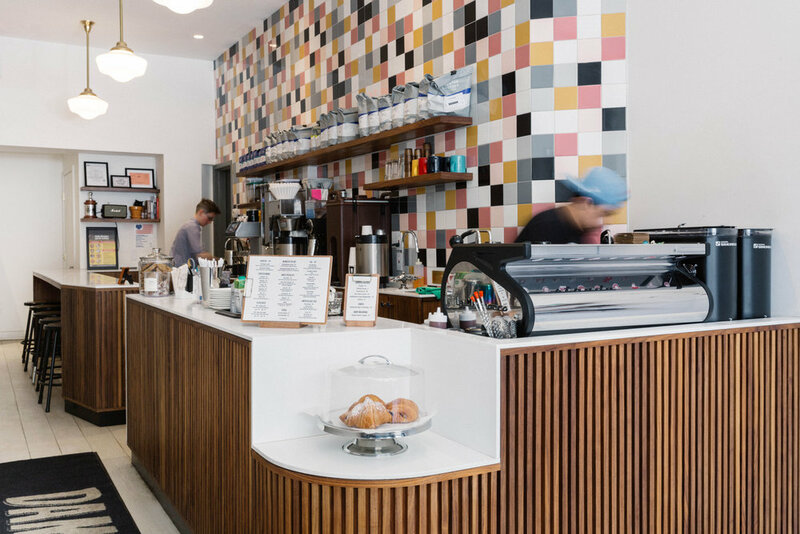 This is the third Everyman Espresso location that JKD has designed.